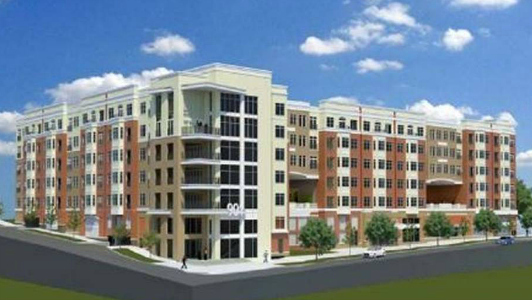 Forestar Group has quietly kicked off work on another apartment complex at Kenilworth Ave. and Morehead Street, which will bring 379 more apartments to a part of Charlotte that’s seeing rapid growth. The Dillon, as it will be called, is across the intersection from Terwilliger Pappas’ Solis Dilworth apartments, and down the street from Crescent Dilworth. Solis Dilworth is under construction with delivery pushed back from summer 2016, while Crescent Dilworth is leasing units and opening soon.